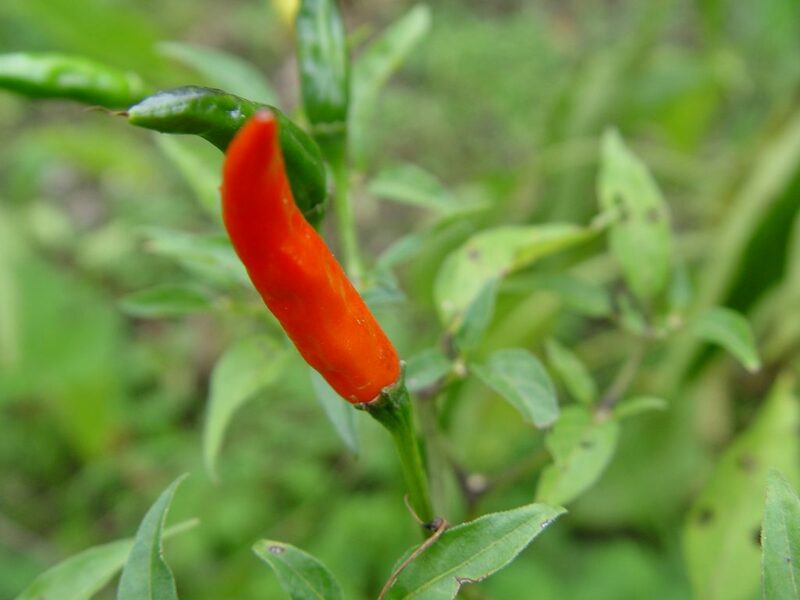 Southern California homeowners interested in growing some or all of their own food have the distinct advantage of all-season gardens that can provide them with fresh vegetables, herbs and fruits throughout the year. With the growing movement towards eating produce grown locally, lowering our family’s environmental impact, and including more fruits and vegetables in our diets, many homeowners are becoming even more interested in partaking in a bit of urban farming and turning at least a small part of their backyards into producing vegetable gardens. While any homeowner in San Diego County, Orange County or the surrounding areas who has a small patch of dirt – or even a small balcony – can grow a year-round garden of some sort, many are torn between their desire to plant a functional garden that provides food and their desire to have attractive outdoor entertaining spaces for their family and guests to enjoy. After all, when most of us think of backyard vegetable gardens, we picture scraggly rows of squash, metal tomato cages and bare patches of earth between boringly green plants. That is not something most of us would want next to an elegant outdoor entertaining area where we plan to host dinner parties or along the side of the paving stone patio surrounding our swimming pool. Of course, vegetable gardens can be attractive additions to backyard landscaping, but without planning and a creative design, it is easy for them to end up looking like those scraggly rows most of us do not want in our yards. For folks who want both a vegetable garden and attractive outdoor living areas, there is the potager. A potager (pronounced pot-ah-zhay) is a French kitchen garden with origins dating back to the 15th century and the French Renaissance gardens during the reign of King Charles VIII. These symmetrical, well-ordered gardens were inspired by the Italian Renaissance gardens seen by the king and nobles while in Italy for a war campaign in the late 15th century. Upon returning home, they begin to redesign their gardens to reflect the Italian idea of creating beauty by bringing order to nature. This new way of creating garden spaces included the addition of terraces, pathways, statuary, water features, labyrinths and impeccable landscaping in an effort to create gardens based on geometry and perspective that were orderly and visually pleasing. Over the years, this school of garden design developed into the French formal garden, which is an era in French garden history that came to its peak under the reign of King Louis XIV. This dramatic, immaculate garden style was replicated in courts across Europe and continued to be the fashionable choice in garden design until the mid-18th century, when English garden design that favored nature over symmetry began to gain influence. During the French Renaissance garden era and the French formal garden era, court gardens across France became true outdoor living areas where royalty and nobility entertained their guests with plays and parties among the well-groomed hedges and parterres. Even after the English garden style began to take hold, which is the predecessor for the landscape gardens most of us have today, many French homes continued to maintain more formal, symmetrical gardens near the house, while allowing a more natural look for garden areas further away from where they entertained guests. 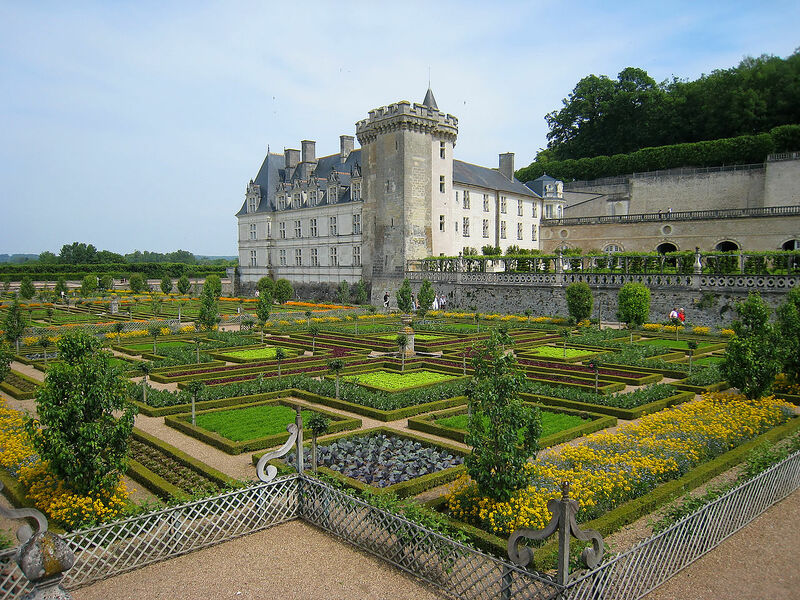 With this much emphasis on perfectly manicured, well-ordered outdoor living spaces, it is no surprise that French royals and nobles desired kitchen gardens that were just as symmetrical and pleasing to the eye. This is how the French kitchen garden – or potager – was born. These well-organized gardens provided vegetables, fruits and herbs for cooking and were made more attractive by incorporating flowers for cutting and borders that provided clean lines. 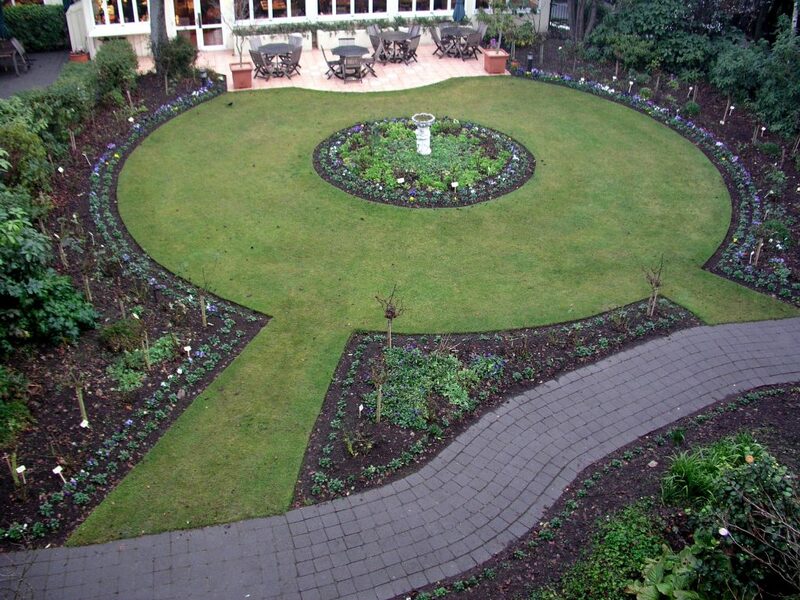 Planting beds were designed in geometric patterns, such as diamonds, squares, circles and rectangles, which were usually bordered by perfectly clipped hedges and often separated by gravel walkways. These kitchen gardens were designed for maximum production in visually appealing spaces, which is why flowers were often included in the plantings, and colorful, edible plants were intermixed with more lackluster greenery. Is a Potager Kitchen Garden Right for You? These highly stylized, well-organized gardens with clean lines and repetitious symmetry are great for gardeners who enjoy a very clean look and do not mind spending a little extra time keeping their garden manicured. For those who prefer the more natural look of an English cottage garden or meadows filled with wildflowers, the formal look of a potager will likely feel too constricted and too man made. However, even those who prefer to let nature do as it wishes are less likely to want it to do as it wishes in their backyards where they intend to spend quality time with their families or entertain guests. This is why a modern take on the potager kitchen garden will likely appeal to just about any homeowner interested in incorporating an attractive vegetable garden into their landscape design. This is particularly true if you simply use a traditional potager as your inspiration as you design a garden that fits your needs and style. Using a potager kitchen garden as your design inspiration will help keep your garden more organized with a cleaner look, even if you decide to include some non-traditional additions that blur the lines between the formal look of a French garden and the more relaxed look of a cottage garden. Always remember that your backyard should fit your needs and personal style, regardless of landscaping trends or what is considered fashionable. Your patio, garden or water features do not need to adhere to strict design guidelines or fit nicely into a particular style. It is far more important that you define your space as you see fit and that your outdoor living areas work for you. With this in mind, you should design your kitchen garden to suit your needs without worrying if a French garden expert is going to visit your backyard and admonish you for not using the correct mix of plants or the right hedges for your planting bed borders. If you are interested in staying within the design guidelines of a traditional potager, that is entirely possible, and with a bit of research, you can create a perfectly organized, symmetrical garden that is sure to impress your neighbors. However, if you would rather simply have an attractive kitchen garden that is well organized and fits with your overall landscape design, you can achieve this without feeling restricted to a particular style. If you like the idea of planting beds that are neatly organized and separated by walkways, the easiest way to achieve this look is to install raised garden beds with paving stone or gravel pathways between each bed. Raised garden beds automatically make your vegetable garden look more organized and have the added benefit of reducing weed growth and providing an attractive layout in which to segregate different types of plantings. You can always go a step closer to a formal French garden by bordering your planting beds with low hedges, but keep in mind that this will require more maintenance, which may not be appealing. To achieve the symmetrical look of a traditional potager, choose a single geometric shape for your garden beds, and repeat it throughout the space. To add a bit more visual interest, you may want to choose one shape, such as a diamond or a circle, for the center of your garden, and then surround it with square garden beds that are evenly spaced and separated by walkways. Walkways are an important part of achieving a potager look, but they also provide easy access to all of your plants, so make sure you install pathways that are wide enough to easily traverse. The next step is selecting plants for each garden bed. The goal is to mix more attractive flowers and plants with those that are not as aesthetically appealing. This may mean planting flowers for cutting around the base of your tomato plants or planting attractive lettuces surrounded by less-interesting green onions. Because bare earth is something to avoid in a potager, cut-and-come-again salad greens are a particularly good choice for use as filler between other plants. If you plan on growing seasonal vegetables, you will need to fill the space with other options at the end of the season. 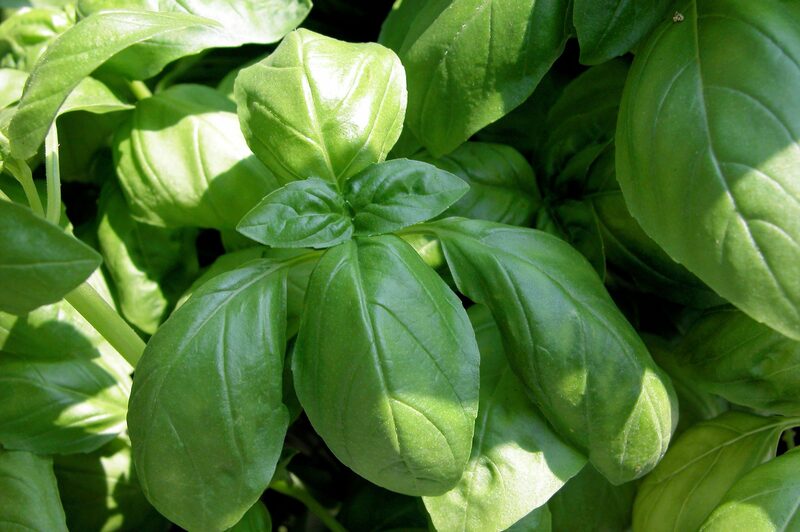 For this purpose, you might want to use fast-growing fillers, such as basil or mustard, to quickly fill in empty spaces. If you wish to include fruit trees in your garden, these would traditionally be placed at corners or along the outside edge of a potager and often have herbs, flowers or low-growing plants at the base. A potager is meant to be beautiful, so you may also want to consider installing painted plant stakes or a trellis for your plants that need to climb or be tamed, rather than using metal tomato cages or other less-attractive options. In traditional American vegetable gardens, we usually see single types of plants planted in rows. This makes planting and harvesting a bit easier, but is not as visually interesting as a French kitchen garden, which usually mixes colors and textures to create an appealing array. When you follow the potager style of gardening and incorporate vegetables, herbs and flowers in the same planting beds, this is much easier to achieve. If you have a smaller yard, only have gardening space on your patio, or need to create both a garden and outdoor entertaining area in limited space, you may want to consider adding containers to your design. While containers are not typically found in a traditional potager, keep in mind that this is your garden, and you can design it any way that works best for you. Container gardens offer the same beauty and clean, well-organized look of a potager, which makes them a fine addition to a modern-day version tailored to fit your needs. When installing a potager-inspired kitchen garden, beauty, symmetry and organization are an important part of each aspect of design. This includes things like plant markers, which should be just as tasteful as your garden layout. Painted tiles, copper markers on stakes or cut metal garden stakes with writing space are better choices than cheap, plastic markers that will take away from your garden’s overall visual appeal. A traditional potager is usually designed with a series of parterres (planting beds bordered by hedges with a geometric pattern layout) that are designed to be seen from above, such as from a balcony, a terrace or the windows of the main house. To adhere to this part of the tradition, you may want to view the area you have chosen for your garden from a window or balcony while you are designing the layout. When selecting plants, do a little research on which plants can benefit each other when planted together. For example, marigolds are a natural pest repellant that can be planted to add color to your vegetable beds. Rather than using hedges that require regular shaping as planting bed borders, you may want to consider using lettuces for a uniform, colorful border option. Many herbs have beautiful flowers, which makes them a dual-purpose choice for gardeners looking for flowering edible plants to include in their kitchen gardens. 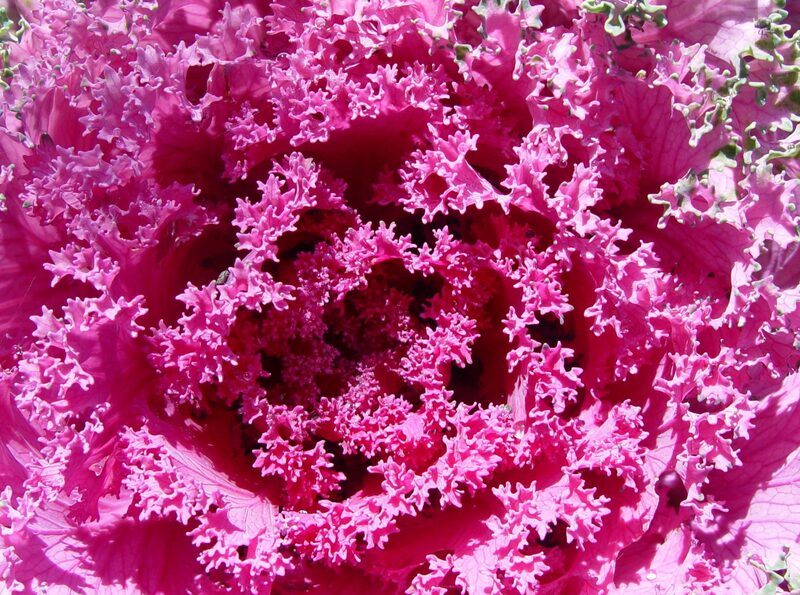 Within your kitchen garden, you may want incorporate a few themes that go with your lifestyle. For example, you could include a salsa garden with tomatoes, peppers, onions and cilantro; a pizza garden with tomatoes, basil, garlic and oregano; a salad garden with a variety of leafy greens; a cutting garden for fresh flowers for centerpieces; an herb garden for cooking and home remedies; or a cocktail garden with mint, celery, lemon balm or strawberries for daiquiris. Keep in mind that modern French gardeners really maximize their backyard gardening space by planting much closer together than American gardeners usually do. Don’t be afraid to plant herbs, vegetables and flowers close together to get more out of your garden. Just remember that, like French gardeners, you will need to feed your soil with compost and pull weeds immediately to make sure your plants have the nutrients they need to thrive. Photo Credits (in order of appearance): Wikimedia Commons/Manfred Heyde; morgueFile, kconnors; morgueFile, missyredboots; morgueFile, missyredboots; morgueFile, clarita.